KOFUP supports children within the framework of community projects. At least two of the trustees visit each year, travelling around the different communities to monitor the use of funds and ascertain ongoing needs. KOFUP currently supports 11 projects in all, one in Uganda and ten in Kenya. We would like to thank everyone who contributes. Without doubt you have helped, and are helping, to change lives and give hope to some of the poorest children in the world. An “orphan” is defined by the UN as a child who has lost “one or both parents”. It is estimated that across Uganda and Kenya there are over 5,000,000 orphaned children, of whom over 2,000,000 have been orphaned by HIV/AIDS. Since KOFUP started, every penny raised has been set aside for the support of orphans and vulnerable children. All administrative costs are paid by the trustees or by specific donations for that purpose. KOFUP supports children and adolescents in their own communities. KOFUP aims to reach and rehabilitate street children. Without parents or adult guardians, orphaned children face a daily struggle with starvation and despair. 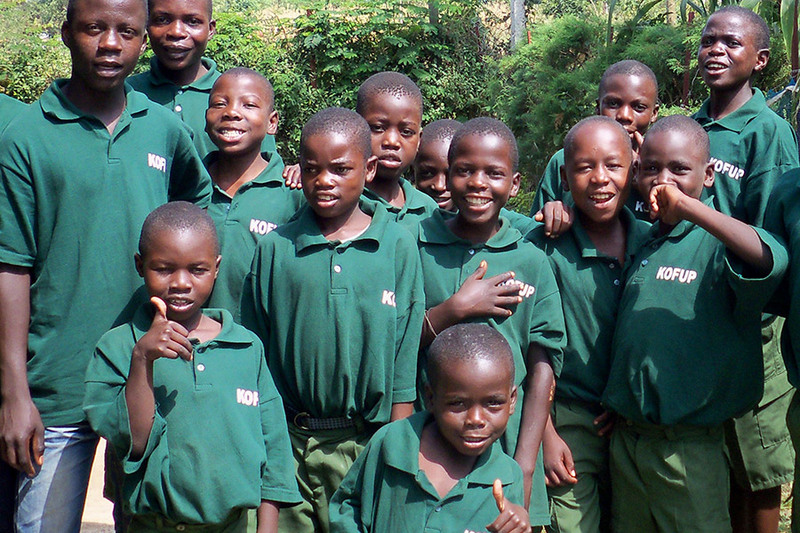 KOFUP supports locally-based efforts to look after the welfare of orphans in their own communities. 8 locations in Kenya — Ujuang'a, Luanda, Nyalenda, Kobala-Kasirawa, Raroki, Ringa, Kahawa West and Siaya. 1 location in Uganda — Kamwokya. In each of these areas there are many more children in need than our present resources can cope with. Even the smallest donation can make a big difference to one of the poorest children in the world.